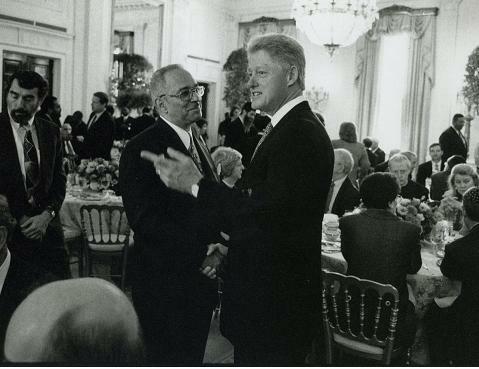 In 1998, during one of President Bill Clinton’s darkest hours, who did he call for spiritual guidance? You guessed it, Dr. Jeremiah Wright. Bill Clinton and everyone else should be ashamed for their silence as they watch the media characterize Wright as a fringe outsider that Barack Obama brought to town. He’s always been such the statesmen! Pastor Wright was invited to the White House TWICE! This man is a true patriot and a powerful minister of the gospel. 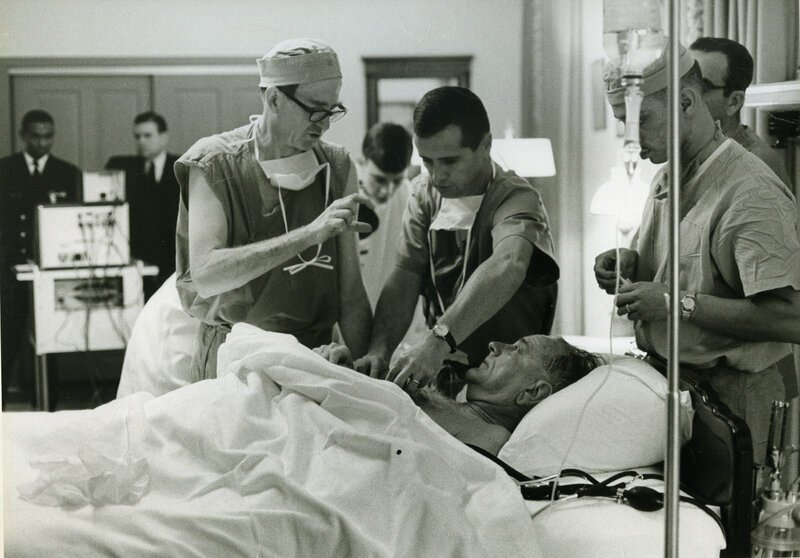 Click on the picture to the left, and you will see Wright in his military days attending to President Lyndon Johnson. He’s on the right hand side standing behind the pole. He received a letter from Johnson’s physician, Dr. George Burkley for his service. “(The President) greatly appreciates your skill and competence in your field,” Burkley says, “which added greatly to his comfort…” Click here to see a copy of the actual letter. This image of Wright is just not accurate. A white racist would never be able to get the close to these Presidents and wouldn’t get two invites to the White House. Think People!